The DINANTRONICS™ Performance Tuner is a highly engineered and sophisticated piece of computer hardware and software that enhances engine performance, without negating or voiding your new car warranty coverage and without affecting long term reliability or the functionality of on-board diagnostic systems. 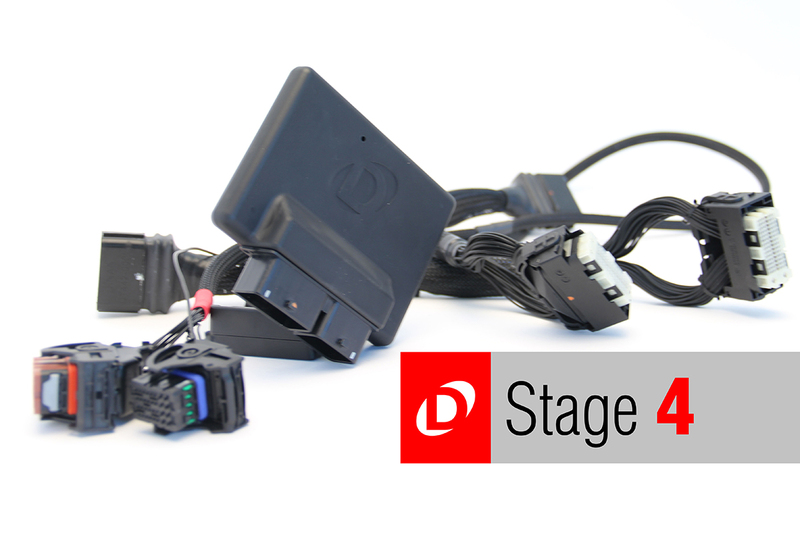 Stage 4 DINANTRONICS Performance Tuner is designed to work in conjunction with Dinan Intake, Exhaust, Intercooler & Big Turbo. Unlock the power hidden within your BMW M2. 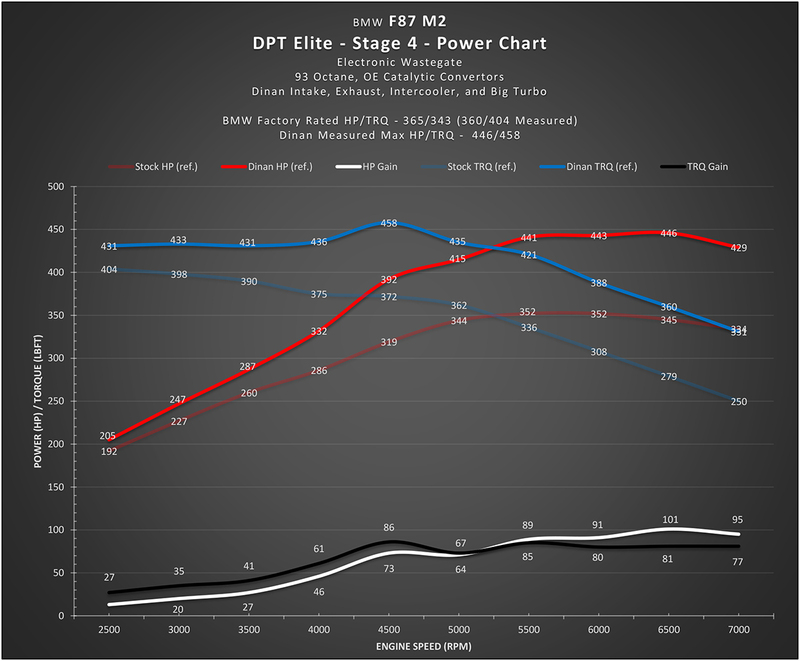 This Stage 4 Tuner will make your BMW feel like it has been reborn with new found acceleration and speed. The DINANTRONICS Performance Tuner is a highly engineered and sophisticated piece of computer hardware and software that enhances engine performance, without negating or voiding your new car warranty coverage and without affecting long term reliability or the functionality of on-board diagnostic systems. Dinantronics Performance Tuner has the capability of setting an optimum target lambda (fuel mixture) as well as correcting short term trim which is the difference between target and scheduled fuel mixture. 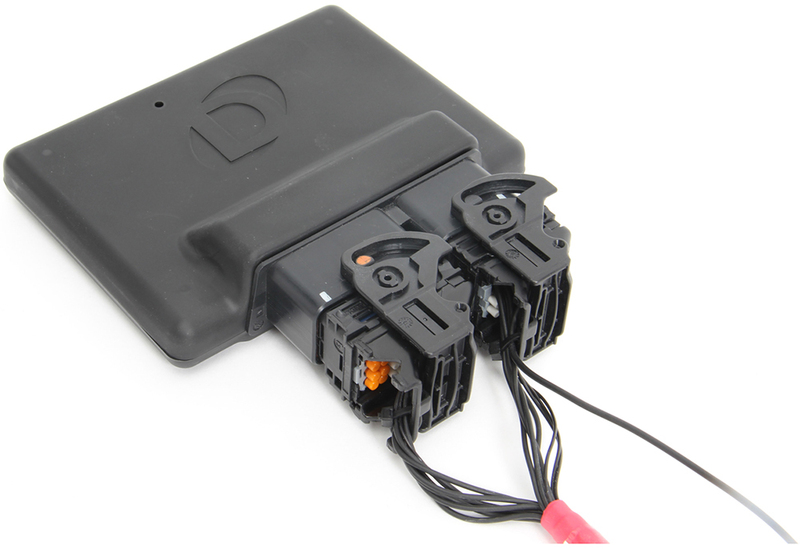 Dinan's ECU is Bluetooth® Smart meaning that you can change maps simply via a Bluetooth connection on your iPhone or Android device.